read. watch. listen. 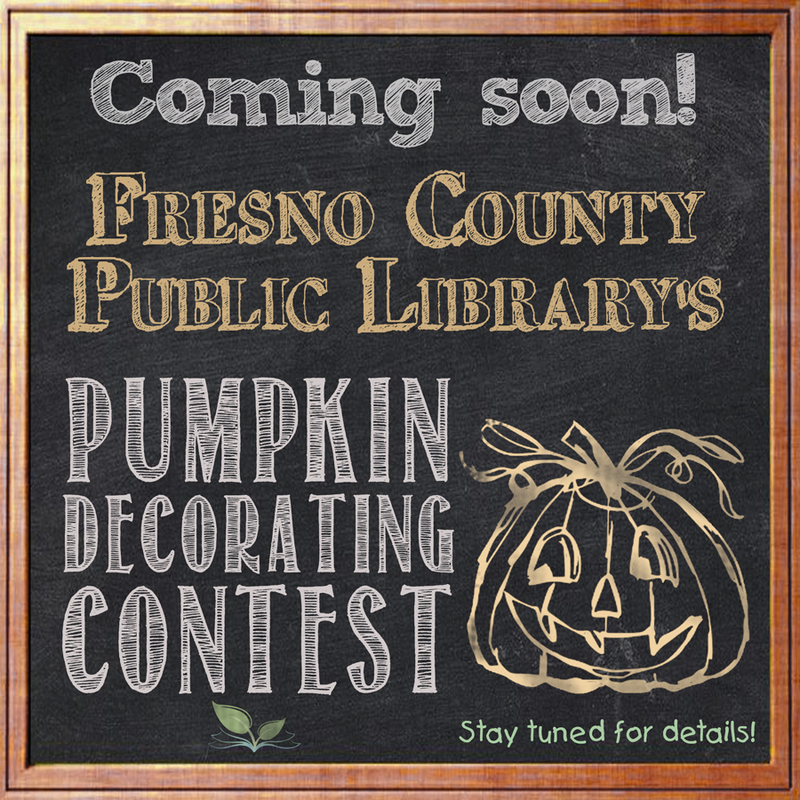 : Coming soon: FCPL's Pumpkin Decorating Contest! Coming soon: FCPL's Pumpkin Decorating Contest! We hope you can carve out some time to be creative this month, because we're holding a pumpkin decorating contest! 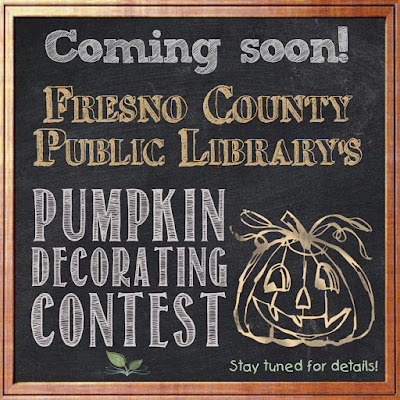 In partnership with the Friends of the Fresno County Public Library, starting October 9 we cordially invite our customers to spread seasonal joy and enter to win by sharing pictures of themselves with the masterpieces they've created on Facebook, Instagram, and Twitter, using the hashtags #fresnolibrary and #fcplpumpkincontest. Full contest rules will be announced soon (be on the lookout for this post! ), but for now we wanted to give you all a head start on coming up with creative, competitive pumpkin designs. Pay tribute to a favorite book character, recreate a key scene or element from a story or poem, or show your love for a favorite genre, craft your dream reading nook/library, with a pumpkin (or multiple)--as long as it has to do with books, libraries, or reading, it fits! Exercise your imagination and design the coolest, most original pumpkin you can think up! Pumpkins in this category do not have to be book or library-related.